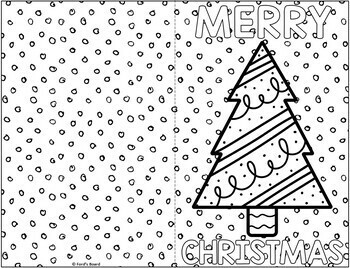 This fun, easy Christmas card craft will inspire your students to make memories, get creative, and make a cheerful card for someone special. 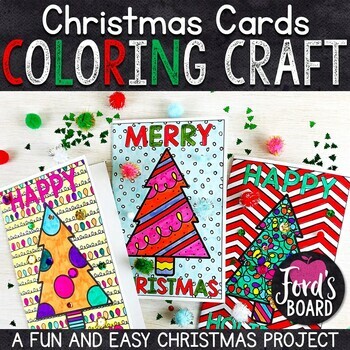 No cutting, no prep, and only a few optional supplies make these cards a super Christmastime craft! 4. 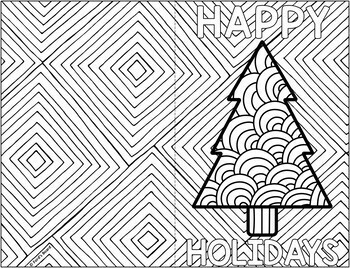 There are two versions for each page, one with a Merry Christmas message and one with a Happy Holidays message. 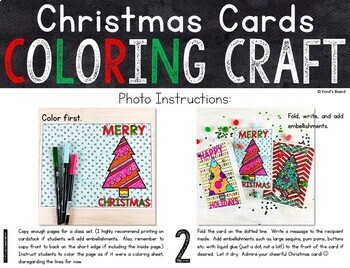 • Cards may be simply colored and cut out or, as shown in the photos, colorful ornament and background embellishments such as sequins, buttons, pom poms, etc. may be added for fun. • Printing on cardstock will make the cards sturdier for adding embellishments.